UK brand Retreat have come up with a highly original way of launching their next t-shirt. 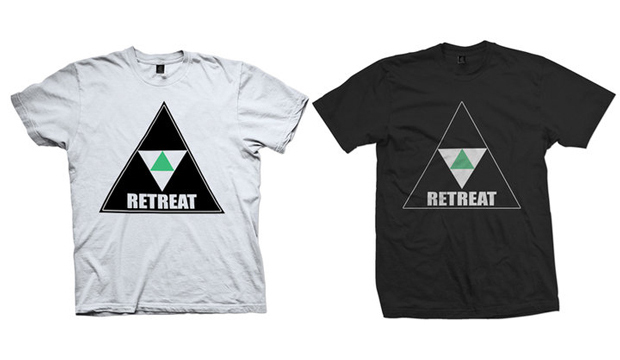 They have uploaded an image of their new Triangular Logo tee in 2 colour-ways onto their Facebook page. They are only going to print up one of these tees, either White or Black. Printing will start next month with only 30 being made – some highly limited stuff! This is the fun part … to choose which colour to print up, Retreat have asked their fans to email their preference to info@retreatstore.com and the colour that has the most votes gets printed! Pretty damn cool. To make it even better, 5 people who email with their suggestion (selected at random) will get one of the winning tees for free. Start emailing and hope that people pick the same colour-way as you!